Peregrine undertakes design to performance or build to print contracts. Where the latter is defined by drawings and specifications, the former is typically defined through a “Statement of Work” with a morphological chart, which is usually a joint effort with our customer. 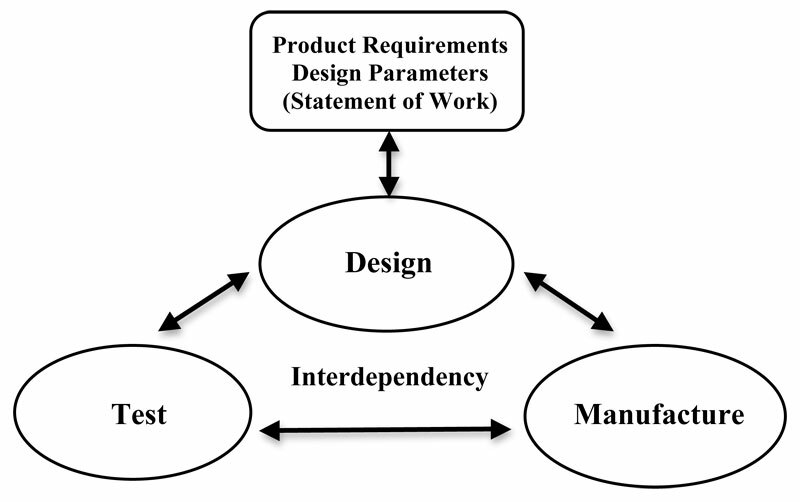 Once the statement of work is created, Peregrine then sets upon the path to design, manufacture and test the product. There is an interdependency between the functions of design, manufacture and test. Typically, designers rely upon standards and established software to formulate designs. Manufacturers understand that the materials and processes used to fabricate a design may never be perfect and that the design standards and software have built in safety factors to allow for imperfections. Testing’s role is to verify that the “as built” hardware passes the design’s minimum requirements. Where this is a macro description, challenges and difficulties arise as the Product Requirements/Design Parameters start approaching the limitations of what the design, manufacture and test loop can provide. Peregrine’s experience and heritage with taking many projects through the design, manufacture and test loop has given us insight in how to make a successful product. Our Quality Assurance Program is run to ISO9001/AS9100. A partial list of our capabilities is presented below. The above is a partial list; please contact us directly to discuss your specific needs.